This week I was invited to spend some time playing with a pre-production Sony a6500 at a Sony Europe press event near London. 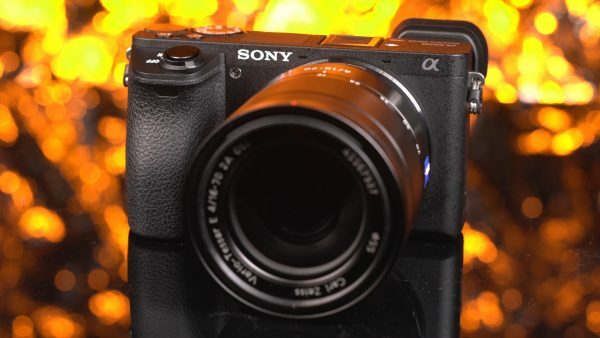 If you have been following Newsshooter then you will already know that I tested Sony’s claims that the camera’s recording time is uninterrupted by overheating up to the 29 minute 50 seconds limit. The a6500 cameras that the invited audience saw were pre-production models and sadly we were not permitted to make recordings to take away. What I can give you at the moment are my impressions, and some shots of the back of the a6500 screen to show how it works. Although unlikely, it is also possible that detailed specs and performance may change before the camera ships. One major difference between the a6500 and the previous a6300 is the addition of touch control for autofocus, both when viewing via the rear screen or the electronic viewfinder (EVF). When using the EVF the rear screen’s touch surface acts as a kind of trackpad allowing the user to choose where the camera focuses. The a6500 isn’t the first mirrorless camera to offer such a solution; the Panasonic GH4 has a similar system but the autofocus system isn’t capable of making smooth focus pulls because it uses contrast detection and not a form of phase detection. The recently launched Canon EOS M5 also has touch focus when using the EVF, but this time combined with the company’s excellent Dual pixel CMOS AF. The a6500 works differently when using the EVF to when using the rear screen. When using the rear screen it uses touch focus where you can simply tap on the point that you want and it will be brought into focus. You can adjust the speed of focussing and also the tracking sensitivity. One thing that I did notice is that there is not an obvious marker on screen to indicate your chose point. When you put the camera to your eye and use the EVF then the touchpad behaviour changes. Instead of being able to tap a specific point on the screen, you need to swipe or drag the focus marker around with your finger. This takes a little getting used to but is fairly intuitive once you’ve mastered it. Its a little like a computer game. Adjust the tracking sensitivity and focus speed in the same way as before is still possible. 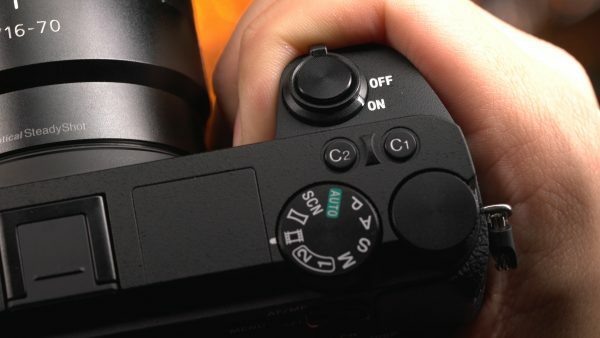 You can set just one side of the screen to be the active touch area so that you don’t have to move your finger around right in front of your face (if you are a right eyed shooter at least), I found this to be one of the main annoyances of the GH4 touch AF system. Dragging the cursor between two subjects far apart in the frame does however seem to risk the camera focussing inadvertently towards the background or elsewhere before catching up on the subject. I would personally rather have the ability to tap directly on subject in the same way that you can using the rear screen method. I suspect Sony opted for the two different approaches because the direct tap method would take some skill and muscle memory to do just by feel without looking at the touchscreen. The potential for untrained users to miss the subject altogether is much higher. Maybe Sony could give us both options so the user can choose? 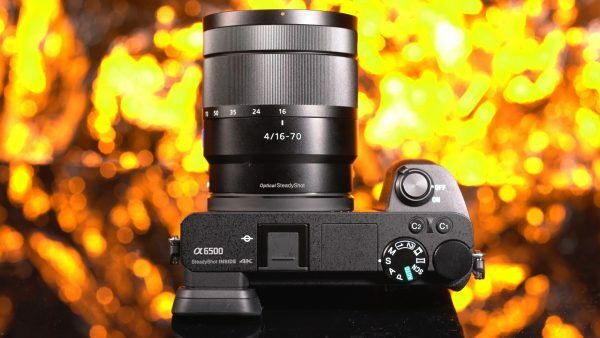 One other thing to note is that the touch AF does not work in video mode with Sony A-mount lenses combined with Sony’s own LA-EA3 or LA-EA4 adapters. 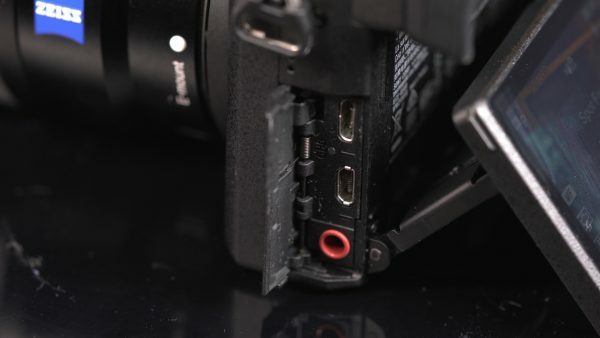 This does not bode well for the chances of the touch AF system working with Canon lenses on a Metabones or other EF to E-mount electronic adapter. Testing is certainly required here but I suspect best performance is only going to be seen with Sony E-mount lenses. 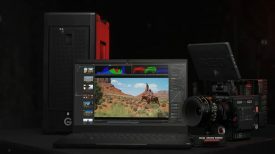 So just how good is the a6500 AF system compared to the M5’s? 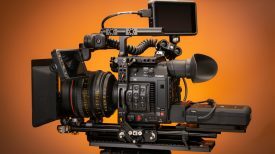 The Canon might not have bleeding edge video specifications of the a6500 but in the AF stakes it may well have the edge. The reason for this is that the M5 keeps the touch system when using the EVF, while still allowing you to drag the point if you want to. 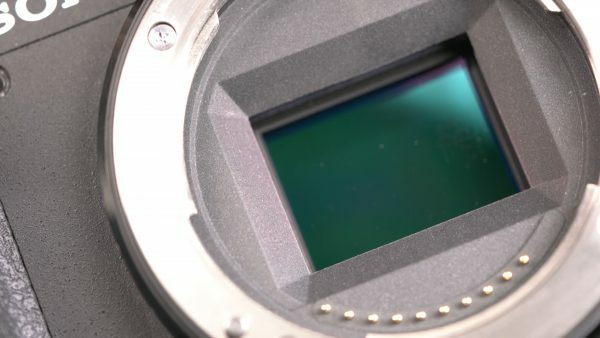 In addition the M5 can be set to use just a quadrant of the screen as a touchpad when using the EVF. Somehow this system seemed easier to use in my brief time with it at the Photokina show. The M5 system works the same way with EF lenses and their EF to EOS M adapter as it does with a native EOS M mount lens. From demos both systems seem capable of performing a relatively smooth focus transition between objects, but having not had a chance to actually record footage for review on either camera it is too early to declare a winner in the AF department. The other big improvement of the a6500 is that the camera has built-in sensor image stabilisation. This is a similar system to that found on the a7R II and a7S II. As I wasn’t able to make recordings to test I can’t say how good the a6500 system is in comparison, but from my hands-on it did seem pretty much the same to my eye. As I wasn’t able to actually record footage there is very little I can say about the image quality at this stage. Sony reps did suggest that it should be very similar to the a6300 and I’m not expecting any big surprises. The sensor is the same one and the gammas and colour settings are the same. Recording is still UHD 4K internally to SD cards, or in 8-bit 4:2:2 via HDMI to an external recorder. The rolling shutter performance also looked to be very similar to the a6300, although again this need further verification. Back in the summer Newsshooter commissioned Alan Roberts to test the image quality of the a6300. 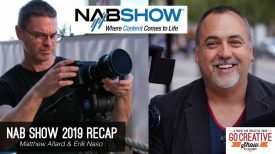 While the popularity of the camera suggests that the a6300 image is clearly good enough to satisfy many users, the camera’s image did not fare well when assessed using stringent EBU broadcast standards. Aliasing and moire were evident and unless Sony have done something they aren’t telling me, I would expect the a6500 to be similar. Again the jury is still out on this. Another area that Sony have made changes is in the menu. The a6500 has an improved menu structure similar to that on the new a99 II. For video users this means that the most commonly used menu items are now grouped together in a more logical manner. You don’t have to scroll too far but I still found the setup quite complex at first sight. I suspect that with time the settings will become more natural to me and frankly anything has to be better than the menu structure of the current a7 range. I do think that a more radical overhaul of the Sony mirrorless menu system wouldn’t be a bad thing. The camera has a slightly larger grip than the a6300 and this feels pretty comfortable to my mid-sized hands. Overall it is hard to tell the a6500 apart from the a6300. Sony have moved the button placement though and there are now two custom buttons on the top plate which should prove useful. The a6500 is practically the same as the a6300 in audio terms. That means there is still no headphone jack in the camera itself, but there is a 3.5 stereo mic input. If you want to monitor the audio you are recording then you will have to use similar tricks to those that users have adopted for a6300. These include adding a HDMI monitor with a headphone jack, recording to an external recorder with its own audio input, using a mixer that you monitor before feeding to the camera, or using one of Sony’s MI shoe connected wireless microphone receivers and monitoring through the headphone jack on it. So there you have it. That’s pretty much all I know about the a6500 so far. There is a lot to like about the camera I saw this week. 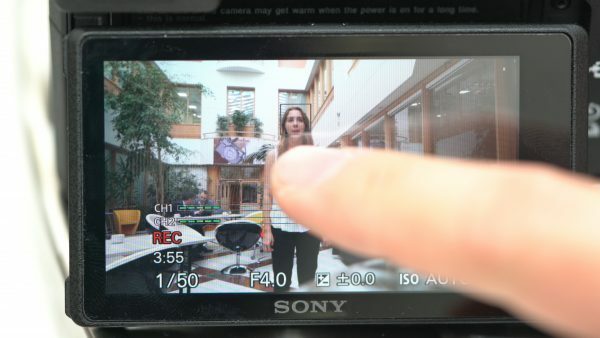 The touch focus system may well be Sony’s first truly usable autofocus system for video and it certainly bests any of the ‘proper’ video cameras from the FS range. Sony also seem to have solved the overheating issue with the new settings – although I still want to test this more. As for the rest of the camera its going to be a case of wait and see.